Now What had outgrown its original office space and needed to transform an 8,000 square foot ‘box’ into a place that mimicked a cozy home. It was important to me that everyone saw this office not just as an office, but a tranquil place that exudes creativity and collaboration. The final design was extremely well received by colleagues, Now What’s CEO, and clients alike. 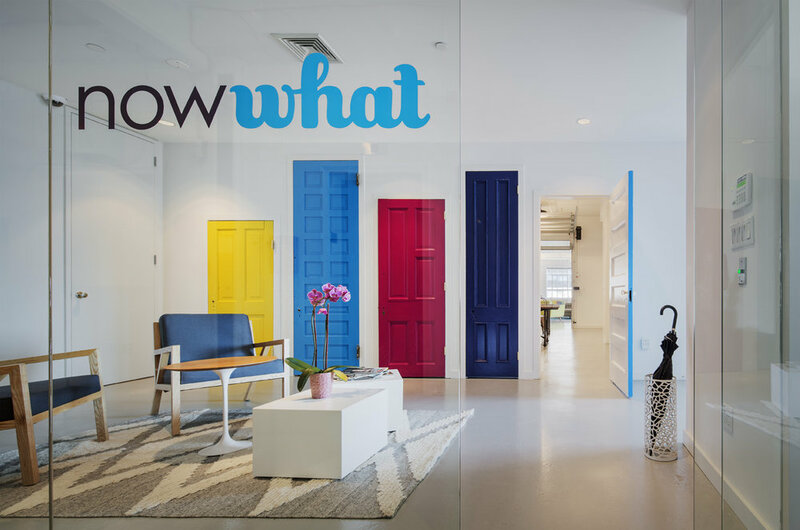 The lively nature of the color palette and marked up dry erase walls throughout the space, mixed with multiple nooks and lounge areas, provided the perfect balance – a place that radiates comfort and fluidity while also remaining true to our playful brand.